For the purpose of the Data Protection Act 1998, the data controller in respect of any personal data that you submit to us on is Lacy Law Offices. About your usage of the Service; that you provide to us in e-mails or letters that you send to us; And about transactions you carry out through the Service, orders you place and the fulfilment of your orders; data that you submit in order to use the Service, including data relating to your customers, clients or others using your services which Lacy Law Offices apps have access to. 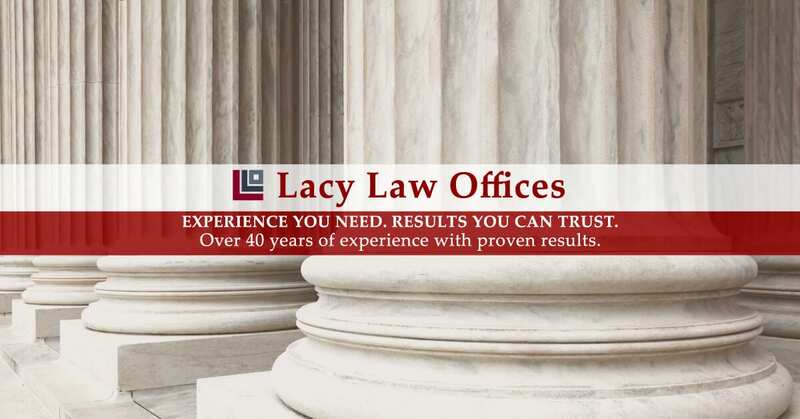 It is possible to view Lacy Law Offices website without providing any personal details. However, without registering your details you will not be able to use the Services. for internal marketing and demographic studies to improve the products and services that we provide; and for security purposes. We may also use your information to provide you with our email notifications, newsletters and other marketing communications that either you request from us or which you consent to by opting in when completing a registration form on the Service. You may opt out from receiving such marketing communications from us at any time by notifying us in writing, contacting us at +1-304-741-5565 or, alternatively, by following the procedure to ‘unsubscribe’ that is specified in the email that you receive. Appropriate security measures will be adopted to protect your information from access by unauthorized persons and against unlawful processing, accidental loss, destruction, and damage. However, you acknowledge that data transmission over the internet is inherently unsecure and that we cannot guarantee the security of data you send over the internet.